The Executive Series from Beds By Design is unique from top to bottom, making it truly in a class by itself. Made from fused materials from the base up, it supports better, relieves pressure and limits motion transfer. Featuring both Duron and OmniFlow materials, the Executive is cool and balanced. This level of science, engineering and detail can take your sleep to a whole another level. Sleep, rest and recover like you’ve never before. The Revolution mattress uses material that is exclusive to Beds by Design. Our Energy Core™ and Duron™ and OmniFlow™ are the newest and most innovative materials. They self adjust and conform to the body as your bodies weight gets distributed. A combination of support and pressure relief. A mattress that is supportive for the spine and back but yet have the pressure relief your muscles need. OmniFlow™ designed by our team uses billions of capsules to support the spine and back as needed. The Independence has been popular with athletes and those with back and shoulder pain. 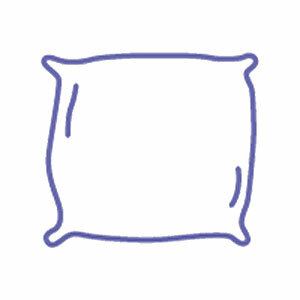 These Omniflow™ mattresses use material that is exclusive to Beds by Design. The Energy Core and DuraMax are the newest and most innovative materials that self adjust and conform to the body as you lay on the material. So popular with athletes who need the maximum pressure relief and muscle recovery, it has quickly become popular with all types of people who look for the next greatest thing in sleep. For the discerning person wanting the very best, our Energy Series sleep systems are the best of the best. Unmatched in comfort and performance that you can feel from the minute you crawl in, you’ll never look at any other bed the same again. Using the OmniFlow™, Duron™, and our TRC (Temperature Response Control). It is like sleeping on a giant cloud. For the discerning person wanting the very best our Liberty is that. Unmatched in comfort and performance that you can feel from the minute you crawl in, you’ll never look at any other bed the same again. This Soft but supportive mattress holds your body while giving you the most pressure relief and support that your body needs. Combining our Energy Core, Duron™, and TRC (Temperature Response Control) is the most comfortable bed that you will find. More info coming soon. The Koolisimo mattress is available in Queen and King sizes.